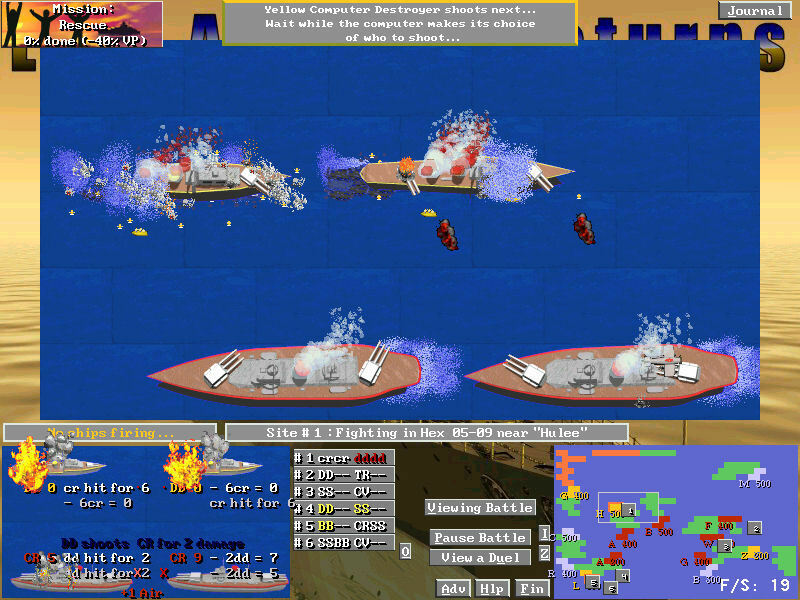 After your movement turn, enemy ships in the same ocean zone will fight. 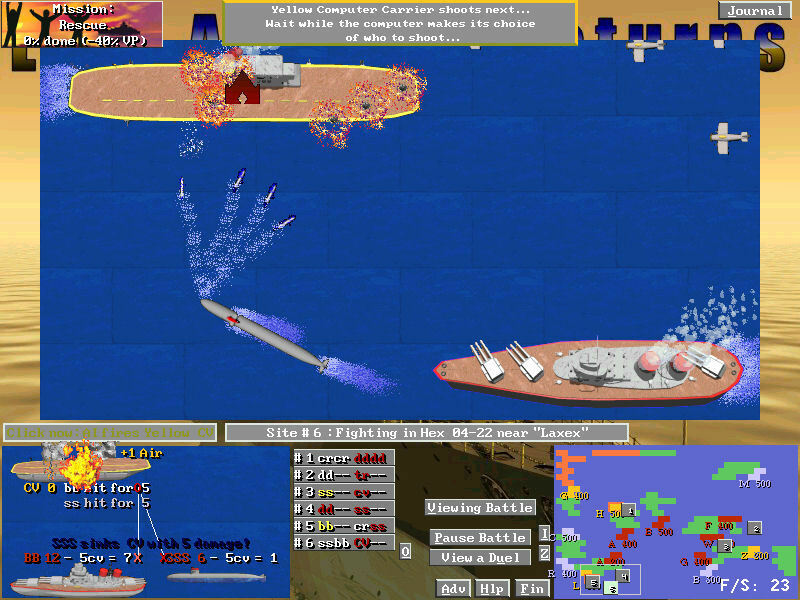 During each combat round, ships from both sides will get to fire once at enemy ships in the same hex with them. 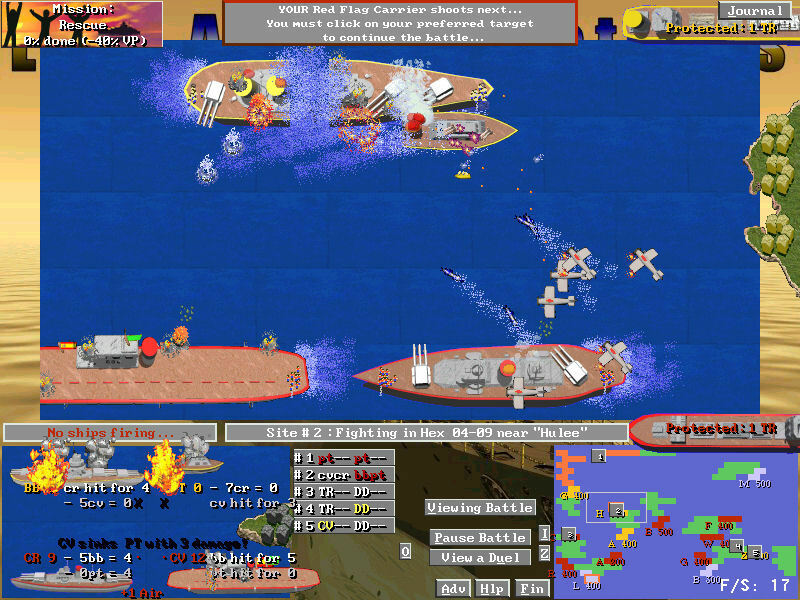 Hopefully you have out maneuvered your opponent, and now your Destroyers are sinking enemy Submarines in one shot, and other nice attack matches such as Battleships killing enemy Destroyers. Study the best match-ups of ship against ship via the damage chart during movement, from the player's manual, or let the game help you plan where to move with "Damage Helper" information during movement. 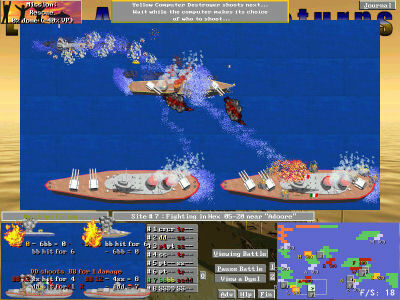 This mode will show what kind of damage you can do to nearby enemy unit with your currently selected ship.